As a startup business it is best to find all of the online resources straight away that can help you with your online marketing. For many of us it is always worrying where to start. For many of us business owners, the internet is our home away from home. We access various mobile sites, apps, and extensions from our tablets and smartphones, desktops and laptops. It is no wonder that Google has made so many different products. Where you can find the typical extensions bombarding the internet, google has an array of unique products. Here are 5 that are actually owned by Google that will help you with your startup business. Have you ever wanted to create a blog for your new business, but really do not want to go the WordPress route? Blogger allows the creation of blogs (or multiple blogs) which you can self-publish. There are a ton of templates offered with blogger which will allow you to get the feel which best corresponds to your personality or business. Blogger can be used for your business or you can use it for personal use. If you have a website, Blogger is a great way to build up your backlinks and followers. What I really enjoy about blogger is that you can put an RSS feed to keep your followers up to date with your blog. Writing and sharing documents by email or dropbox is extremely tedious. Google docs is a free program that allows multiple people to collaborate on a project. For users that are familiar with OneDrive, you will not have any problems with the program as it works primarily the same way. However, unlike OneDrive you have the ability to work on a document in real time. The share option allows you to and other people to work on a document in real time. This eliminates the back and forth in creating your web content, articles, and blogs. The program also allows you to share excel sheets and PowerPoint slides. Adding to the appeal is the seamless integration between Google Docs and Google Drive. You may not know it but Google owns YouTube. The website is the #1 video streaming website on the internet. It has been reported that 4 billion videos are steamed every day. Estimates say that his number will increase 25% in the next six to eight months. The odds are that if you have watched videos online, you have watched a youtube video. There are several different options for having a YouTube account. The product is free to use and to create personal channels. If you want to have a business account or to sell videos, you will need to upgrade your services. 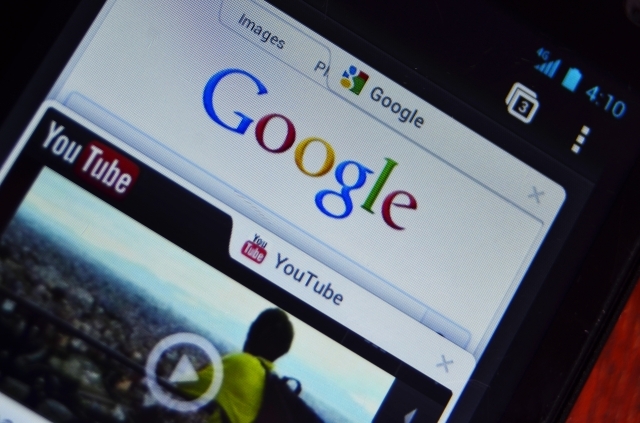 As Google owns YouTube, integration will work best in Android applications (as google owns android as well). This is not to say that Microsoft and YouTube Google Inc’s videos cannot work together, but it does pay to stick with the owner for better functionality. Because of the popularity, many people just to not associate Gmail as being a product, but it is. The email system has definitively grown in popularity since its start in 2004. The thrill of Gmail is that it allows for a tremendous amount of storing and organization of emails. There are currently 452 million users of gmail. As google has developed additional products (such as google docs and google drive) the email program has been updated to merge with these products. Being that it is free, I would not see why a person would not want to have an account. The interface is intuitive, the fact that it is owned by google makes integration with google products a great deal easier, and it works well with Outlook and other third party email providers. A list of unique products from google would not be complete without mentioning Google glass. The product has gained both positive and negative reviews, but these are based upon privacy and not upon the functionality for the most part. Google glass is a breakthrough in mobile technology that allows a user to have a pair of internet glasses. The product looks just like a pair of glasses or sunglasses, yet they are actually fully functional internet browsers. The visuals of the google glass have been modified and customized various times. Currently, the display shows in the bottom corner of the glasses. There is a camera which is located on the glasses bridge. There are also voice commands which the glasses use to function. It may sound like some spy gadget from James Bond, but Google Glass is an actual product. The downside is that there is a great controversy as to the privacy in using the product. Some feel that the camera will allow people to photograph or video record them without their knowledge. This has resulted in google glass bans in some pubs and other establishments. Others claim that the glasses and video can help increase security if worn by officers and detectives. Regardless of your stand on this, you have to admit that it is a pretty ingenious product. As times and technology change, Google has kept up with the shifts and trends. These are just a few of the products from google that will help you as a startup business. There is an endless amount of products and extensions that you can download to make your life on the web a bit easier. Which will you choose?